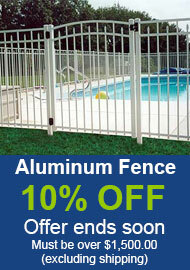 Fill in the information below and we will provide a quote for Fence Crown. Fence Crown is too large to ship with UPS or Fed-Ex. Fence Crown is shipped LTL (semi-truck). We shop several freight carriers to get you the best price.